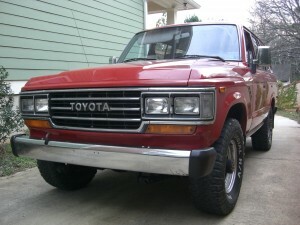 My friend Kevin just bought a Toyota FJ60. To the uninitiated, this is the 1980 through 1990 four-door SUV version of the FJ series, which also included the Jeep-like FJ40. 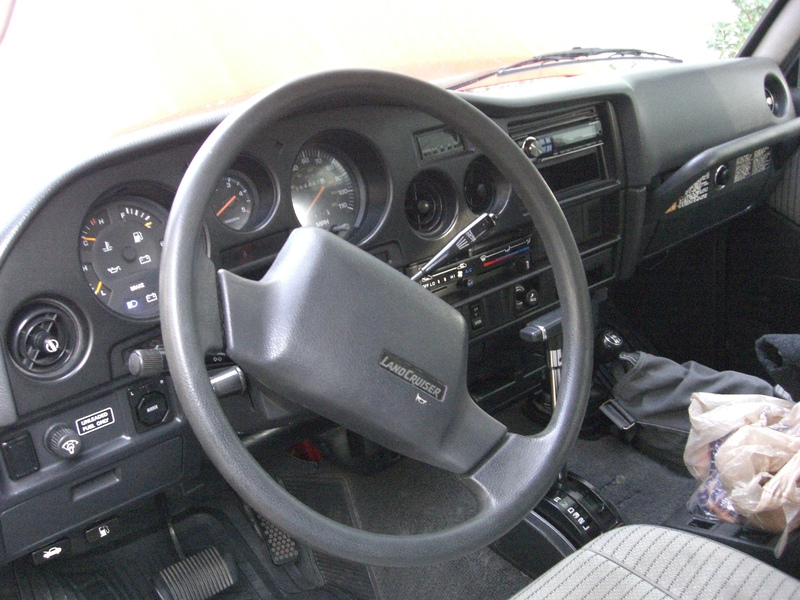 Kevin’s ’89 FJ60 has a 4-liter straight-six and a 4-speed automatic transmission. Like all Land Cruisers, it’s four-wheel drive. 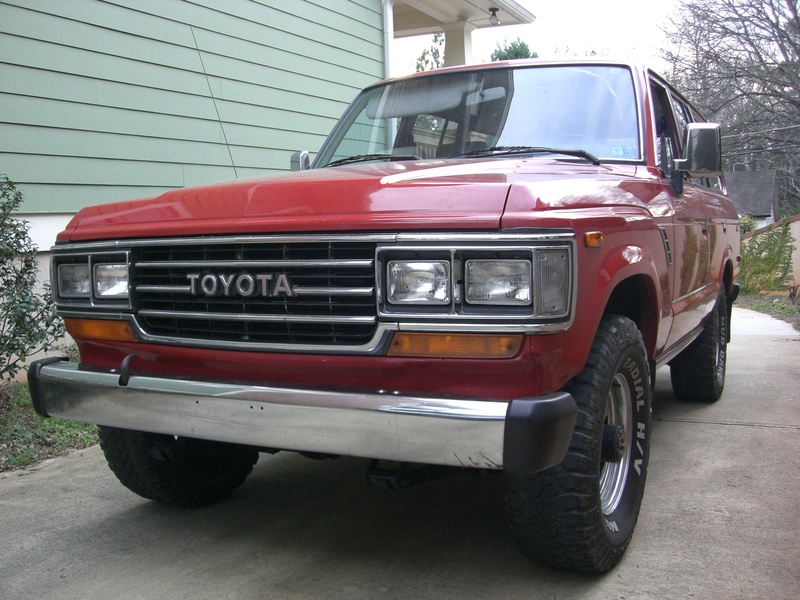 FJ60s are sought-after vehicles, so Kevin’s purchase marked the end of a long and exhaustive search. 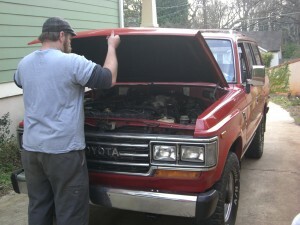 At 23-years-old and showing 250,000 miles, Kev’s red truck is in remarkably good condition. In fact, its minor imperfections would be common to a ten-year-old vehicle with 100,000 fewer miles. Kevin bought the FJ60 from the second owner. The first owner drove the vehicle and kept it garaged until she sold it in 2008. Fewer owners is almost always beneficial to condition. 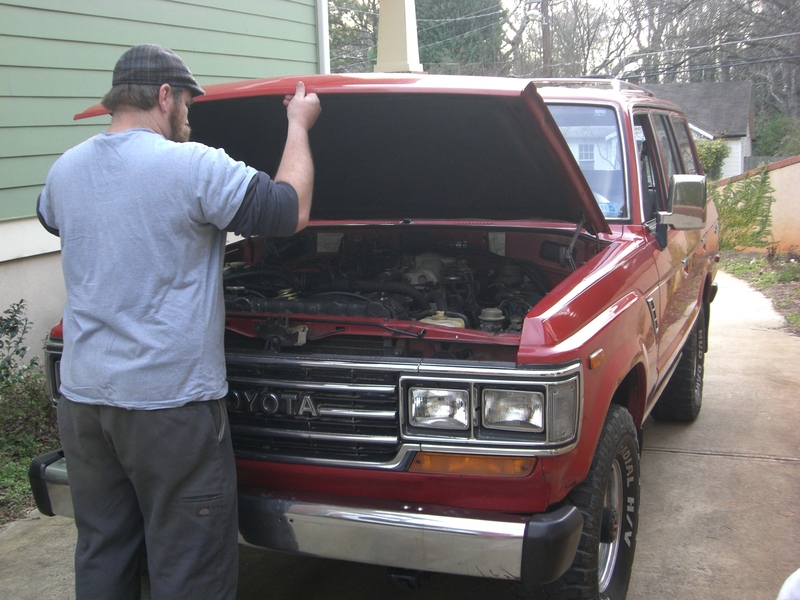 Kevin intends to use the FJ as his daily driver, so he’s surveying the vehicle in these first few days with it, making a mental list of repair items. A new muffler is needed immediately. An experienced mechanic, Kevin will keep an eye on other items, like an apparent slow radiator leak. 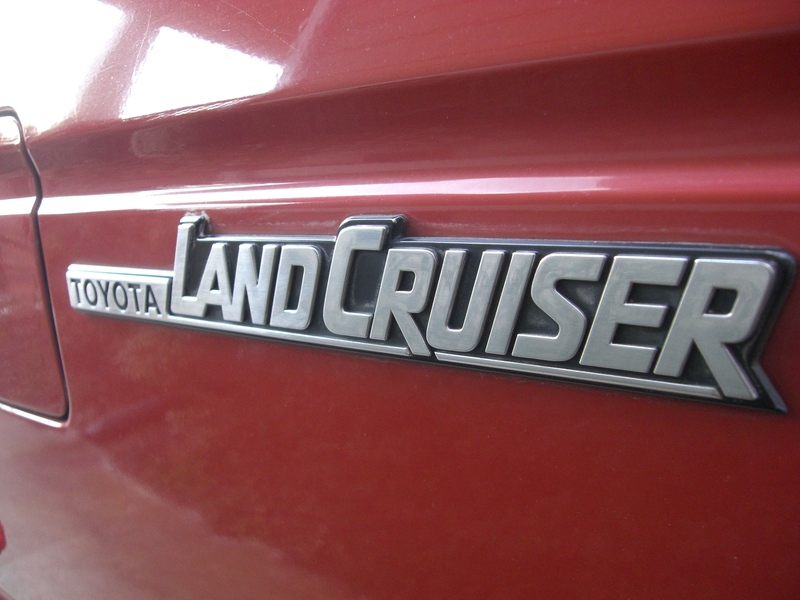 Despite a relatively high price when new, the ’89 Land Cruiser is pretty basic inside. It does have power windows and locks, the latter of which Kevin noticed only after he bought the truck. He’s surprised everything still works, but he grew up driving a Triumph. In 1970s British cars, nothing typically works. Kev’s feelings about his decision to drive a two-decade-old, high-mileage truck for commuting, trips and general family-car duty are paradoxical. On one hand, he knows a modern vehicle is easier and will mean fewer headaches. But like so many of us, he’s in love with older cars and trucks. And he grins every time he gets a look at his old FJ. I think it’ll work out just fine. I’ve known Kevin for a long time, so I’ve seen him make some bad decisions that were a lot worse than this. 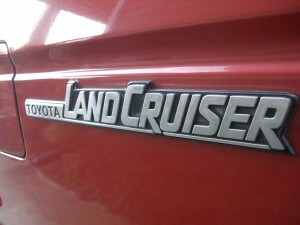 I’ll keep up with Kevin and his Land Cruiser as he settles in for the long haul. I think there is a common misperception that old = unreliable. When you truly know your vehicle, and can fix everything that can go wrong, that, my friend is the epitome of reliable. If a newer car breaks down A) you will be surprised B) unprepared and C) likely unable to fix it as most newer cars are so computer controlled it’d difficult to troubleshoot. That’s one of the many reasons I opt for a simple older vehicle. I think you’ve hit on exactly why the Land Cruiser will be a good vehicle for him. It’s not too complex. It supports my argument for buying a Type I Volkswagen as a daily driver. Even though it’s thirsty for fuel, the Toyota will make a much less painful driver than, say, your Audi V8 or my BMW L7 ever could. That’s an FJ62. Awesome though. 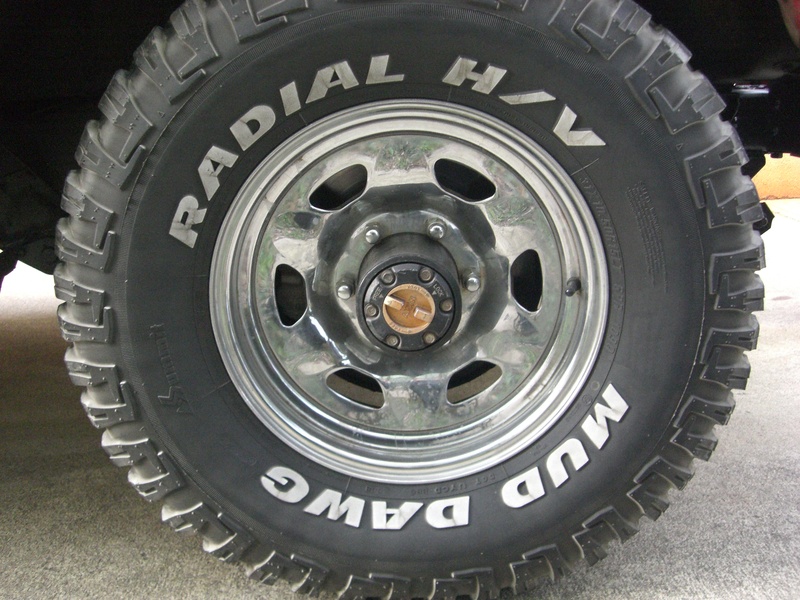 Go to http://www.ih8mud.com for all the tech info you could ever possibly want. Thanks for the correction and the reference, Nick. I’ll pass it on to Kev. Does he still have the FJ60 and use it as a daily driver? He just sold it. He moved to Kentucky a few months ago and didn’t want to drive it there in the winter. He bought a late model Tundra to replace it. He did drive it daily for a few years, though. The main drawback I heard was very poor fuel economy. At least he didnt end up in a Scout II. An FJ60, a P38A, or even a W461 would be cheaper in the long run. On the other hand, knowing how to weld in a floorpan patch (and front floor aupport, and inner fender, and rocker panels, and roof cap) is a pretty handy skill to pick up.